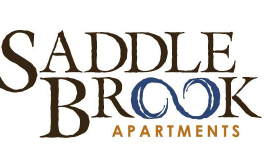 Saddle Brook Apartments provides A-class amenities for members of our apartment community here in Pewaukee, WI, and based on our reviews, our residents like what we provide. Today, our blog post takes a look at why reviews are important, how to write a good review, and how to evaluate reviews. Include relevant details and facts, but leave out harsh name calling and graphic language. Use correct spelling and grammar — for instance, stick to one exclamation point — as poor mechanics can devalue the point you are trying to make. Even when — or perhaps especially when — you’ve had a poor experience, state your case coherently, intelligently, and honestly. Name calling is counterproductive and typically does not get you the results you are after. Include language that indicates what you experienced, acknowledging that not everyone will have the same experience. We work hard to make our apartment communities pleasant places to live here in Pewaukee, Wisconsin. Now that you’ve got more info about how to write a review, we invite you to leave a review for Saddle Brook Apartments. Thanks for reading today’s blog post.